In the United States, alcohol proof is twice the percentage of alcohol present in a quantity of liquid. The alcohol proof of homemade wine, as with wine in general, varies because there are different types of wine. 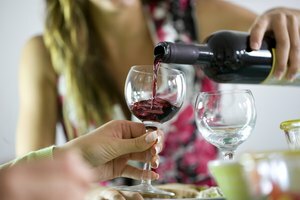 Wine in general, which includes homemade wine, has an alcohol content of 10 to 15 percent. That would make the proof of wine to be 20 to 30 proof. Gravity of wine is the amount of sugar dissolved in the wine. To determine the alcohol content of the homemade wine, take the starting specific gravity, subtract your finished specific gravity and divide by 7.36. The proof of the homemade wine is twice the results. The two main groups of wine are red and white. Within the two groups, there are further variations such as Zinfandel, Shiraz and Cabernet. 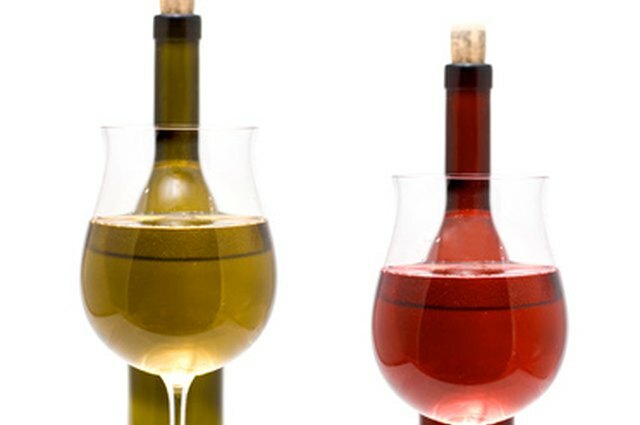 Each type of wine has a slightly different alcohol proof and content.